Salutations! & Welcome! My Beautiful Beings of Light. The moments have whizzed by and again it is time for the monthly message. The Creator is sending each of you a mighty Celestial Cyber Hug. Close your eyes and just allow yourself permission to feel the love wave as it washes over your Essence. Perhaps your physical body may feel warm and tingly but your Celestial Bodies will know without a doubt that you have been given the most glorious Creator Hug that you will ever remember receiving. Physical time may feel like it is whizzing out of control within most of your moments now. It is best to work with your inner self to help stabilize the overwhelm that this sensation may be sending to your body, pushing it into overdrive. You can help yourself come back into center and balance if you place your hands on your Solar Plexus and close your eyes. Simply bring your mind to your Solar Plexus, breathing deeply and mentally ask it to calm down. Just keep your eyes closed for another minute or two and feel the peace descend upon your physical body. You may be feeling as though this is a tiny lull before the storm or next drama event within the Earth Plane, My Beloveds. Take these small breather moments and learn to turn the dial to accessing, allowing and releasing to provide you with the information that you need to move forward on your Spiritual path. My Beloveds, you will constantly be clearing and releasing all those things that no longer serve your highest good. Do your clearing work daily as you lay your head down at night, right before falling asleep. Don’t take the debris that has accumulated during the day into your dream state or allow it to be kept in your physical body tissues. If something major occurs in your day you can release it right then and there, no need to even drag those doom and gloom moments another second further. All that is required is for you to quiet your mind, give sincere intent to clear it and for a moment close your eyes, place your hands on your Solar Plexus. Through a small prayer mentally say to your Angels, Spirit Guides or The Creator, “ I am releasing to you now, I am releasing to you now, I am releasing to you now, and so it is.” Let it go My Beloveds and hand it off to those that truly can help you the most. It is the moment in NOW where it is of utmost importance, My Divine Beings of Grace, to Access your Spiritual Support Staff, Allow your Spiritual Support Staff to assist you and Release your concerns or issues to your Spiritual Support Staff. It is nice to also share your gratitude and the tender beautiful moments as well with your Spiritual Support Staff. This is part your Spiritual family and they provide Unconditional Unwavering Love for you and they are always there to help you walk through your life from moment to moment. Allow this Messenger to take you on a mediation journey to help you dial in and learn to access, allow and release. Arrange yourself in seated position or lie down so that you are comfortable. Keep your legs and arms from crossing if at all possible, as this blocks the flow of energy. Cover yourself with a light blanket if you chill easily. We want you comfortable and undisturbed for a while as you journey within yourself through meditation. Close your eyes and take a comfortable deep breath, then comfortably exhale as hard as is possible. With each in breath, you are breathing in love and renewal. With each out breath, you are breathing out fear, frustration and doubt. Take another comfortable deep breath in and comfortably exhale just letting all the stress go. Take another comfortable deep breath in and then just exhaling letting it all go with a sigh as you are breathing out all frustrations of the day. Feel your body relaxing from the top of your head down to your toes. Give yourself permission to feel the calm and peace. Your muscles are feeling loose and limp, so relaxed, so deliciously serene, so wonderfully lazy. Direct your ego self to perch on your left shoulder. Instruct your ego self that it is only to be an observer on this journey, it is not to participate. If it helps you to visualize your ego self by identifying it as a symbol or as an object please do so. The Creator has responded to your prayer and has gifted you with an Iridescent White Ray plus a Brilliant Gold Ray and Two Luminous Rose Rays for this journey. The Rays are entering into your body through the soles of your feet and moving up through your physical vessel; permeating throughout all of your etheric energy fields & physical vessel and into all corners of the actual area that you are meditating in. The rays then are exiting through your Crown Chakra. The Rays then are returning to The Creator and cycling back down through you again and back to The Creator in a continuous circular loop. These protective therapeutic rays are in a continuous circular motion while you are in meditation. You are now divinely protected at this moment and nothing can even communicate with you, that is not for your highest good, without your permission. My Divine Beings of Light. You are breathing very slowly and evenly now; you are feeling secure and safe. Breathe in deeply My Beautiful Beings of Light and feel the lighter relaxed feelings of being protected & divinely guided into this meditation. Breathe in deeply and know that you are breathing to the Pulse of The Creator. Listen to The Creator’s spiritual heart beat and feel the unconditional love that courses through you each time you think about this moment. Breathe in deeply allowing and seeing within your spiritual imagination your Guardian Angels and invited Spirit Guides as they join you now. The Angels take your etheric essence hands and guide you out of your physical body. The Angels then direct you into your Etheric Spiritual Heart Chakra. An Angel has been stationed to stay with your physical essence until you return from your meditation journey. You are seeing, feeling and sensing this within your imagination, Your Guardian Angels, Spirit Guides and special invited guests are with you now within your Spiritual Heart Chakra. 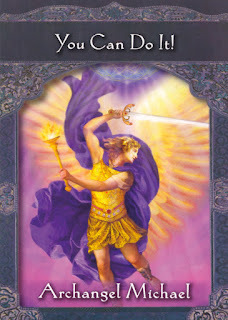 Your Angels and Guides are helping you locate the Golden Door that says “To My Highest Guidance Within”. You have located the Golden Door and now you turn the etheric spiritual door knob, opening the door as you cross over the threshold knowing that you are on a spiritual growth adventure. You find yourself in a White Marble Corridor your Angels whisk you down the hall to the third door on your left. The label on the door says “Class Room” you turn the doorknob and step over the threshold. You see this large soft yellow room with black broads, chalk and erasers and bulletin boards with all types of class projects pinned up. You smile to yourself because you instantly remember some of these projects of yours that are now being displayed on these boards. You think to yourself how did the Angels get these I throw these away years ago right after class concluded. The Angels are just bending over with laughter. They tell you that nothing really of major genius, as these are, could ever be thrown away. The Angels explain to you that at the time of those works you were actually accessing the Universal Mind for information and you didn’t even realize that you were doing it. The Angels sit you down in a comfortable old leather brown chair in the center of the class room. They then slide a writing table in front of you. You notice that the table has a writing tablet and pen along with a laptop computer. The laptop is off to the side because they want you first to work with the writing tablet and pen. Now the Angels instruct you to go back to the question list and as you read the question to yourself, write down the first response that pops into your awareness. They tell you not to analyze the response, don’t doubt it or question it in any way. Simply jot down the answer that you were given. You do as directed just continuing on with the exercise jotting down the first response that you are aware of right after reading every question. Oh, that was easy you say to yourself. You now go back and really look at the answers that you were given. Amazing you say to yourself, I didn’t realize I could do this on my own. You understand that now you have accessed the answers and allowed them to be written and you released any need to doubt or critique their validity. WOW! this is huge you tell the Angels. You had forgotten that guidance could be this simply to obtain. The Angels are clapping and telling you that guidance is really much less complicated than the human consciousness makes it seem. Your Angels continue explaining that the human consciousness is really nothing more than chattering self-talk usually filled with judgments and criticizing and mindless decision making. Your Higher consciousness needs to be accessed in order to receive your personal inner guidance. Your Angels tell you that you came with all your most perfect personal answers inside, you just need to remember how to access the data. The Angels give you a visual to help you remember the steps necessary to tune into your Higher Consciousness. Just imagine yourself sitting down in a chair, your Angels tell you, you are holding a card in your hand that has a personal question written on it that you want answered. Next imagine that there is a table beside you with an old radio sitting on it. You simply lean over to the table and turn the radio knob to “on”. Then you use the station dial to tune into your Higher Consciousness, perhaps the Angels smile it would be 111.1 on your radio station dial. Once you have the station locked in on the radio look at your question on the card you are holding in your hand and listen to Higher Consciousness response being broadcast on the old radio. This mental picture that the Angels have just painted for you is a wonderful tool to help you remember that you actually have all of your own most perfect information. The interesting part is that no third party human can access your guidance. So other physical beings on the Earth Plane trying to help you really don’t have the key to open that data base that belongs only to you. The Angels now tell you that you can put the pen and paper to the side and pull the laptop computer over in front of you. Now the Angels instruct you to type in a personal question that you want answered. Then the Angels remind you to tune into the first response that pops into your awareness when you are typing in the question. Your answer the Angel continues may even come before you have finished typing the last words into the laptop. They tell you that the minute you formed that question in your own awareness the guidance answer was already in the works of responding to your query. This is how simple it is, the Angels respond. They also preface this with one more comment. Your Higher Guidance works on a need to know basis, if this question is not within your own Divine Timing to have answered within those moments, understand that you must release this to your Spiritual Guidance to bring to you when you are to have the information. Your face looks pensive for a moment but you realize after contemplating what the Angels have stated that not everything that you want to know is for your Highest Good within the moments that you decide you want the information. Your Angel provides some direction for you to consider, The Angel suggests to ask your Higher Guidance to either provide the answer if the timing is right or to provide a mental word message like “wait” if the answer is not to be provided at that time. Okay, you tell the Angels that will certainly work, that is something that you feel really good about doing. You can practice asking questions which starts the Divine Access ball rolling, Allowing your Higher Guidance to respond with the first thoughts that pop into your awareness and then Releasing your judgment on the answer that has been provided. Exactly your Angels nod in agreement. You tell the Angels that you would like to practice a bit more on the laptop and they nod their heads that this would be a good time. After working with this for a while you feel comfortable with the process and let the Angels know. Your Angels tell you that it is time to return anyway and they help you move the table in front of your chair that you have been sitting in. You get up from your chair and walk over to the walls to refresh your memory on the things that you did in the past that are pinned up on the bulletin boards. This remembrance takes you down memory lane and you can’t help but smile to yourself rereading some of your papers that you’ve done for assignments. You remember this one in particular that you are reading now. You remember that that assignment just seem to have a life of its own. You remember vividly sitting down at your work area and that paper just seemed to write itself. It was so effortless and flowed so beautifully. You smile laughing to yourself, you realize now that you were accessing your Higher Consciousness to obtain that wonderful wisdom that showed up in that school assignment. You are now laughing realizing that this was a true channeled project. You are a channel you tell yourself, how amazing is that? Nodding agreement and laughing your Angels tell you that it is time to go, they remind you that you can always return anytime you choose now that you have remembered the way. You follow the Angels out of the room back through the door and you instantly find yourself back in the White Marble Corridor. You catch a glimpse of your glowing Essence in the mirror. Your Angels lead you back across the threshold of the Golden Door Within, back into your Spiritual Heart Chakra and then they assist the return of your spiritual Essence back into your physical form.